JTZ Enterprise SMS Text with Voice Platform allows you to reach more people through Mobile Marketing. The SMS with Voice Platform instantly alerts you by phone, and/or email each time you receive a text or call from that tracking number. You can assign unique tracking numbers to each of your advertisers, including your website. 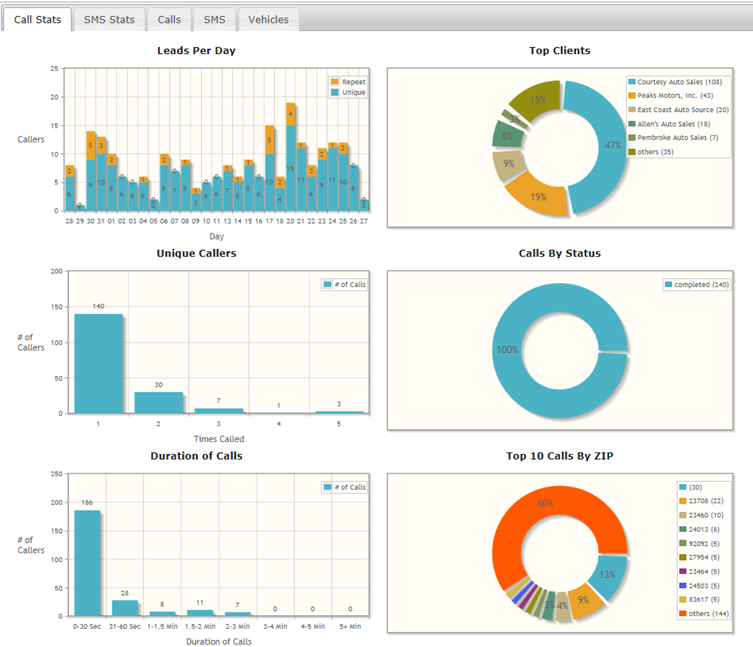 This allows you to track all calls from all advertisers and chart real Return On Investment (ROI) figures for each advertiser. This helps make clear decisions to what is working for your dealership and what is not. This feature is only $19 per number per month. If you don’t have a tracking number, you may be missing out. Call us today to get started or request a live demo 540-286-0801.